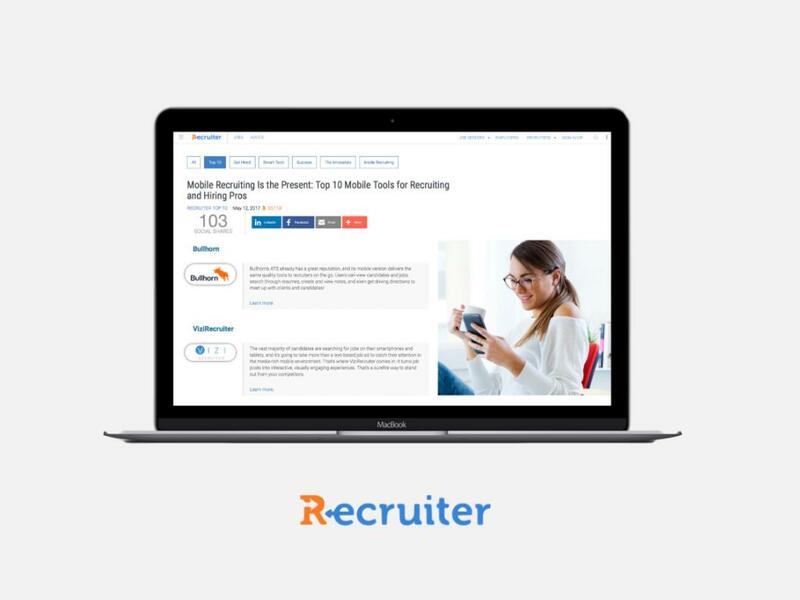 ViziRecruiter is a platform that takes text-based job descriptions and transforms them into digital, visual, engaging job posts that integrate with job boards and social media. Vizi is an industry disrupter, with nothing else like it on the market. The human resources industry is notoriously difficult to change, and is often inundated with new products, tools and services. 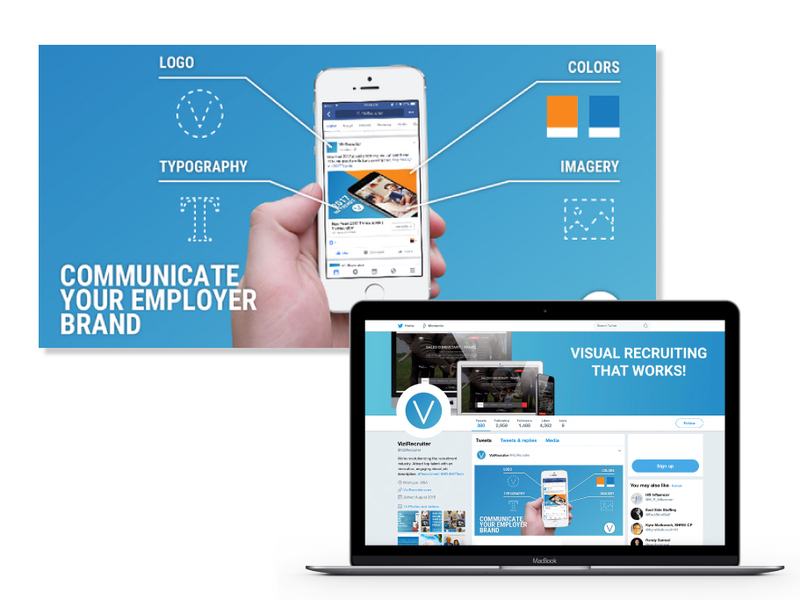 Vizi hired the midnight oil group for full-service marketing, including branding, graphic design, email marketing, social media marketing and website redesign. Vizi had an existing logo and color palette that was outdated and busy. They wanted an updated logo that spoke to the technology component of their product, but would also be approachable for their HR client base. We crafted a monochromatic type treatment with a single icon to achieve an updated, tech-forward logo. Vizi also had an existing website that spoke to its original visual brand. 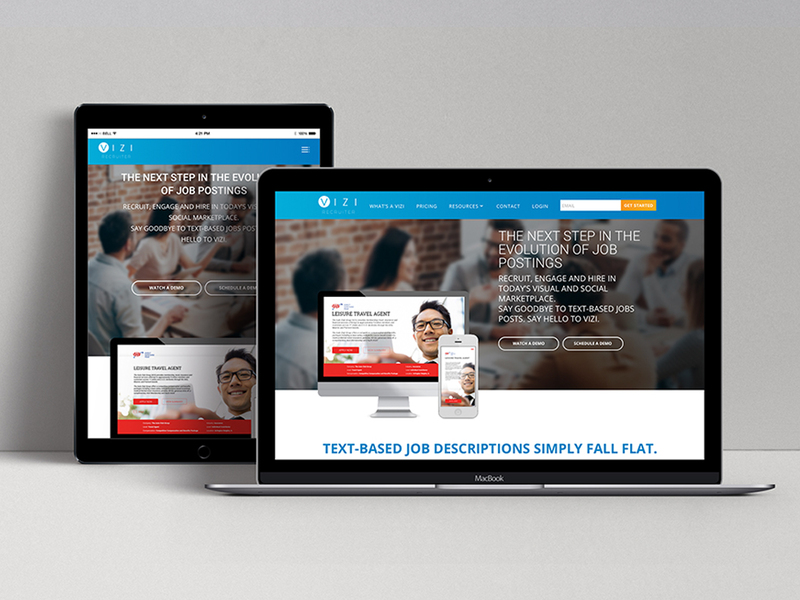 the midnight oil group conducted a complete redesign of the Vizi site, selecting a WordPress platform for updating flexibility. In addition to providing product information, Vizi’s website also needed to allow for and encourage lead generation. We incorporated various elements for email and potential customer capture, including the Get Started feature in the navigation bar, ample download guides and a smart pop-up feature. At the core of all of our marketing efforts for Vizi was the need for quality content. 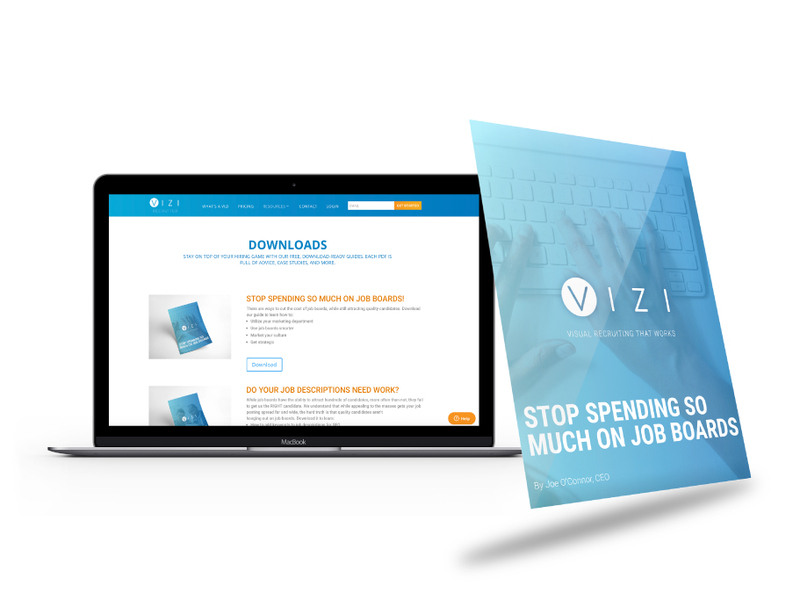 Whether we used it on social media or in email marketing, we needed to provide Vizi’s potential customers with value through download guides, tip sheets and white papers. the midnight oil group was responsible for cultivating topics, writing content, designing and disseminating each piece we created. We used social media, both organic and paid channels, as a lead generation source and brand awareness vehicle. Primarily focusing on LinkedIn and Facebook, we used demographic targeting to serve up content to individuals who fit specific industries and job titles. This allowed us to capture hand-raisers as well as drive traffic to Vizi’s website. 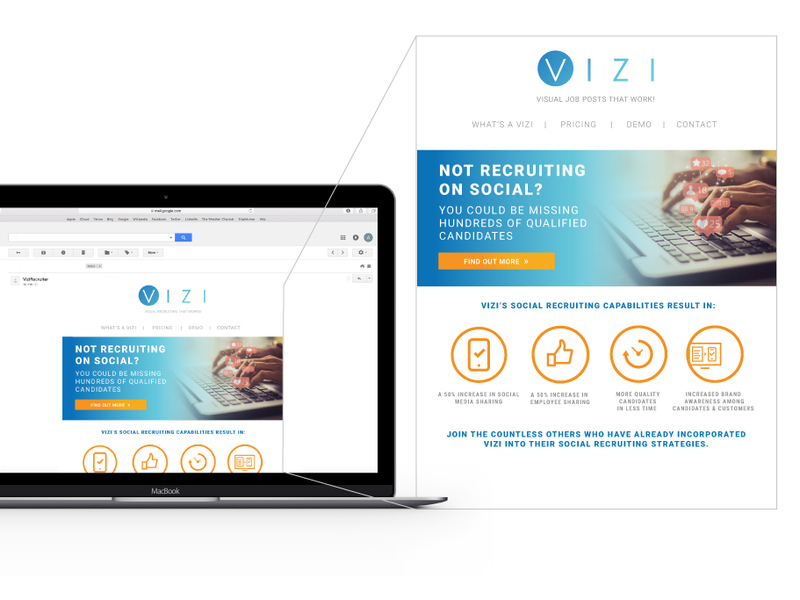 Vizi required an elaborate sales-focused email marketing strategy that would translate into lead generation and demo conversions. 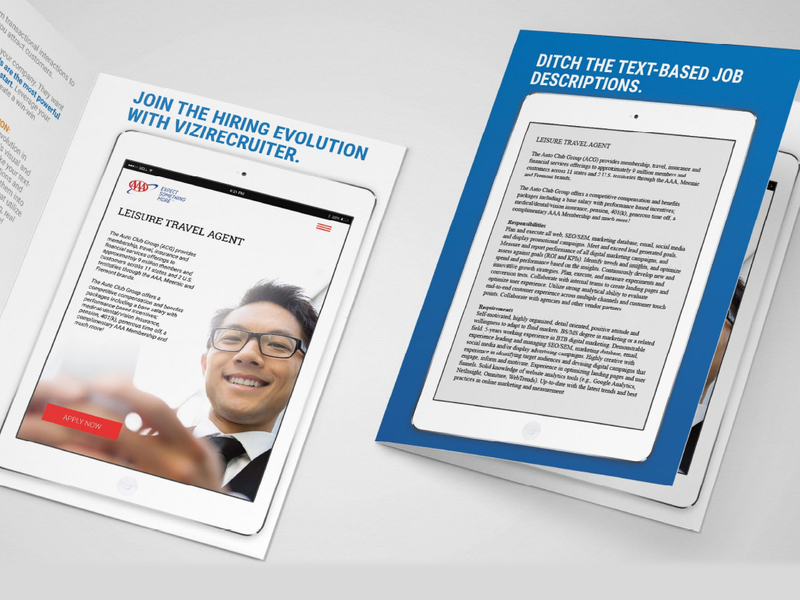 We executed a two-prong approach that alternated between providing valuable resources, like download guides, and offering enticing marketing messages, like greater results using Vizi. 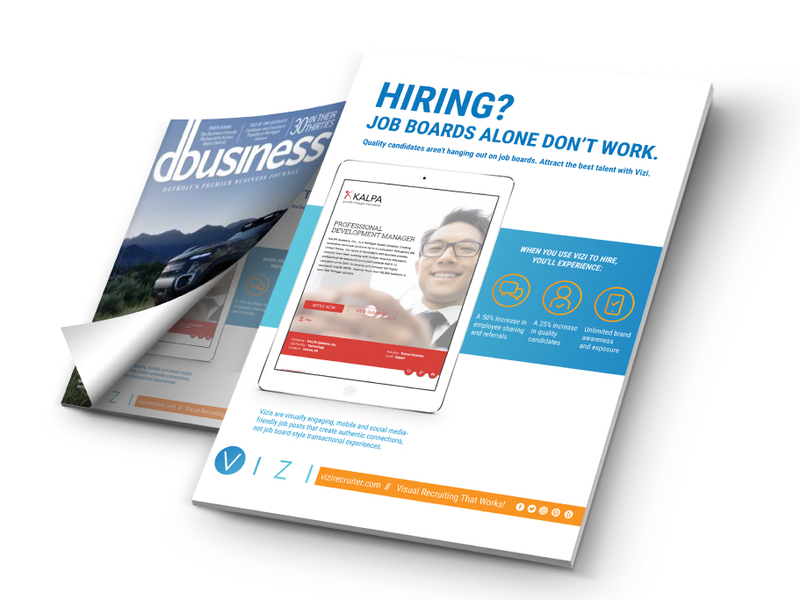 Focusing on trade and business publications, the midnight oil group pitched human resource outlets, like Recruiter.com, to highlight Vizi as an authority in the HR software space. Much like PR, the midnight oil group focused primarily on B2B opportunities for advertising. We crafted messages and designed creative for display ads on websites that are authorities in the HR space. We also designed print ads for some regional business-focused consumer magazines. the midnight oil group elevated Vizi’s sales and investor presentations by incorporating the company’s new visual brand. The result was a more professional and cohesive appearance. 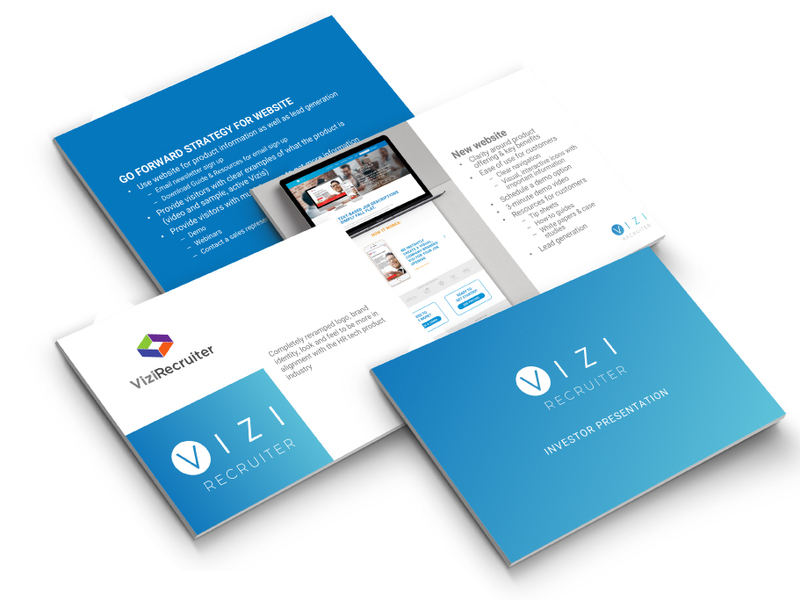 the midnight oil group designed a variety of print collateral for Vizi, including business cards, brochures, sales one sheets, print ads and mailers. We completed all content creation, layout, design and production. 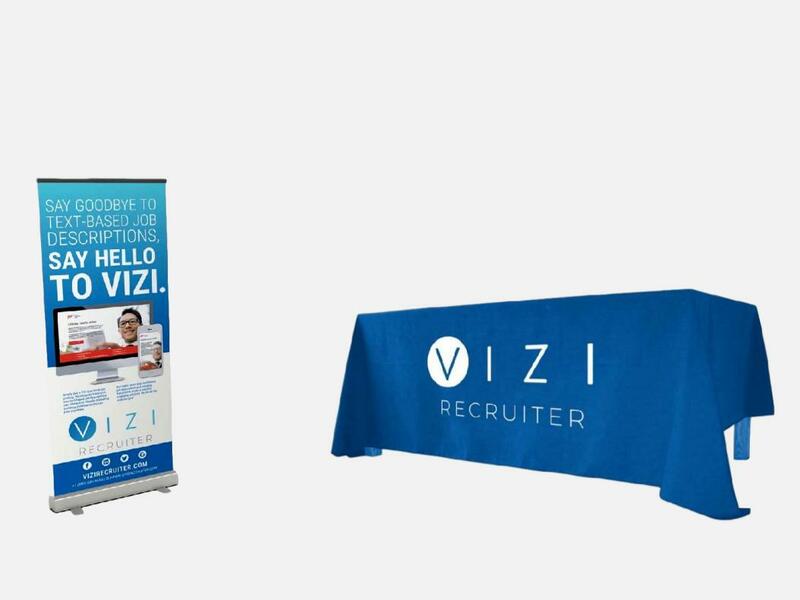 Vizi needed a simple but effective show setup to use at conferences and exhibits. the midnight oil group designed several assets for them, including a pop-up banner and branded table cloth.